New Age Smart Tech Really Smart? Is smart tech really smart? The second decade of 21st century has seen phenomenal increase in the numbers of smart devices, be that wearable ones or smartphones and tablets. However, what most of us don’t see is the exponential amount of data that millions and billions are producing every day. Quite naturally we don’t generally bother about how the data is stored or what would happen if data production overflow the storage or the channel? Smart tech won’t be smart anymore, right? 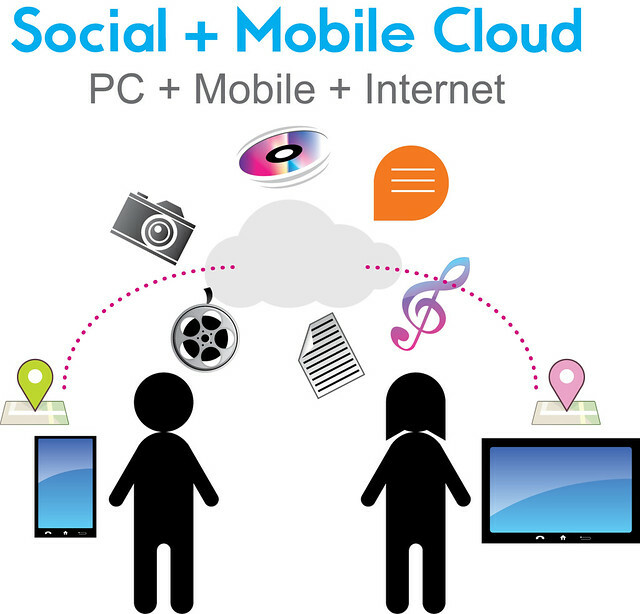 Cloud storage and improving the scopes of mobile cloud computing holds the key to address this issue! Data storage issues: As mobile computing continues becoming popular, more and more people are trying to enjoy the convenience of keeping as much as data possible even when they are on the go. Mobile devices generally offer a limited amount of space, which in many cases, isn’t enough for users to enjoy the convenience of abundant storage. Connection problem: One of the major problems that lovers of mobile computing are facing is poor internet connection. While on one hand, users cannot really rely on open WiFi connections, on the other hand, the connection providers haven’t been entirely successful yet in ensuring customers with uninterrupted mobile internet coverage on the go. Mobility: Mobility management is another major problem that quite often disappoints vigorous mobile computing users. Mobility management is an effective way to understand users’ current location and how far they are interested in enjoying the benefits of mobile cloud computing. Alongside, this feature also helps finding out whether users are more inclined towards infrastructure-based or peer-based techniques. Cloud computing is considered by experts as one of the most productive solution to these problems. As the Cloud operating system combines almost all the utilities of computing with SaaS (software as a service), integrating it with mobile technology solves data storage crisis, inconsistent internet connection and mobility management. Let’s take a look at some of the most common functions that smart tech users are fond of and perform regularly. Social networking, receiving weather updates, storing and streaming big data when necessary (for professional or personal purposes) are some of the most frequently performed tasks. Now, the applications that are letting people getting these information, such as Google Now, Yahoo Weather or Google Drive and iCloud, all use Cloud as the essential operating platform that for not only letting users benefit from real time data but also allow them share the it with their families and friends. Google Drive and iCloud are perhaps the most reliable virtual storage systems in terms of security and accessibility. Overview: What Happens if Smart Tech and Cloud Seperate? What if Cloud is not connected with these smart tech devices? A recent survey shows that on an average people use their smartphones and other wearable devices for 95 minutes per day, be that for work or entertainment. Without Cloud connectivity, your organization may lose 240 hours of productivity in a year, the monetary equivalent of the same is 6 weeks of vacation or loss of $7000 within a year. If you are encouraging mobile cloud computing then not only productivity flourishes due to parallel processing but also big data processing and computation contribute to the overall growth of your organization. It is really an encouraging sign that today’s smart devices are becoming more and more Cloud reliant. Application developers are also making the products more and more Cloud friendly, only to make sure that users don’t experience slow data processing speed, even at the peak traffic conditions. Let mobile cloud computing transform your smartphone into a data terminal and not just a stand-alone podium. Let it become the key to unlock a new world of smart tech that you have only imagined but not lived yet.